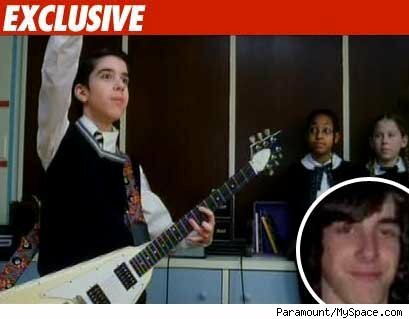 One of the kids from "School of Rock" was busted for DUI -- and no, those kids aren't old enough to drink yet. 17-year-old Joey Gaydos Jr. -- who played Zack Mooneyham in "School of Rock" -- was arrested last month in Michigan after cops say he was trying to drive away from a Taco Bell while intoxicated. And if things weren't bad enough for the kid -- when we called the Van Buren Township police to find out what happened, an officer told us, "When I heard we had someone from 'School of Rock,' I thought it was that big guy, Black. Then I heard it was that goofy guy who plays the guitar!" CELEBRITY JUSTICE ™ DUI Jack Black Movies Joey Gaydos Jr.